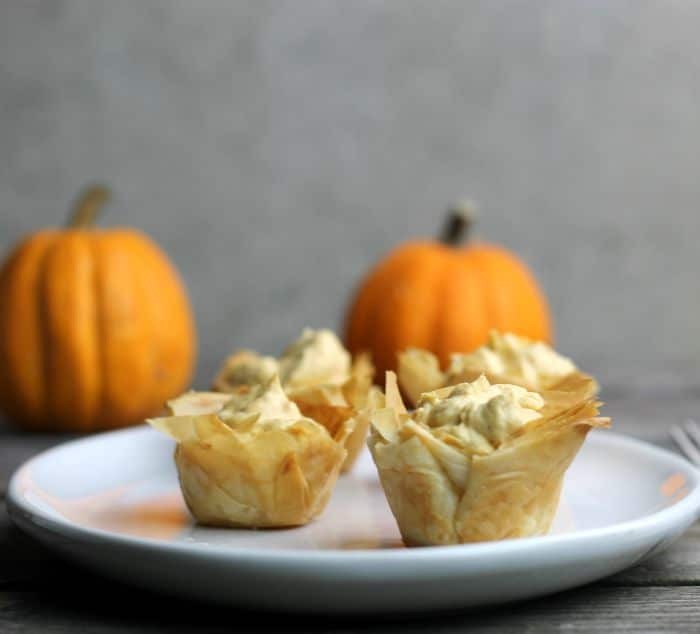 Mini Pumpkin Pie Tarts have a crispy phyllo shell and a no-bake pumpkin cream cheese filling perfect for the holiday season. Mini pumpkin pie tarts are made with mini muffin tins and are adorable individual desserts. Your family will fall in love with these little tarts.